Facebook makes it easier than ever to grow your business with the use of Custom Audiences. Designed to help advertisers find existing audiences among Facebook users, creating a Custom Audience allows you to quickly target a group of consumers by first identifying which consumers you would like to reach. To create your own Custom Audience, simply decide who you want your ads to reach, then enter your custom parameters directly into the Ads Manager tool on Facebook. Generate a Custom Audience by using subsets of current customers, prospects, loyal club members, or any consumer group you want to reach with a targeted message. Once your Custom Audience is in place, you can easily exclude or narrow the audience based on your campaign interests. For example, you can prevent a particular audience from seeing your ad or ensure your ad reaches a specific target audience by selecting various demographics. To track your campaign progress, simply view the ad frequency, reach, and response within your Facebook page Insights. In an attempt to push the social media marketing envelope, TG recently performed a Custom Audience comparison for an event hosted by WHQR. Identified as the 30th Birthday Party for WHQR, the event targeted two audience types over two weekend periods at the end of September. The first group included WHQR’s standard audience, which advertises to Facebook users who ‘like’ WHQR, plus the friends of those users. The second group featured the Custom Audience, which included any Facebook users WHQR had an email address for. The primary goal of this audience comparison was to build awareness for the event, encourage Facebook users to RSVP or buy tickets, and track which audience segment performed better. 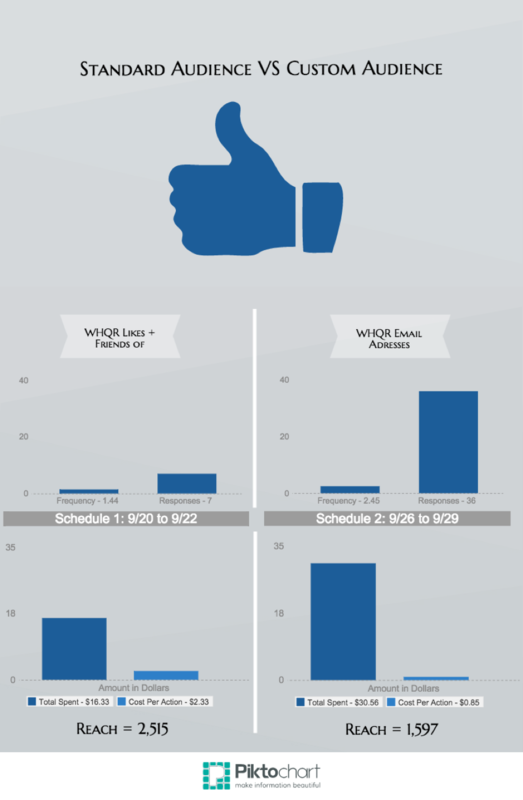 After examining the data, it turns out that the Custom Audience proved more effective for the WHQR event. To understand the numbers, start by considering the audience size of each targeted group. 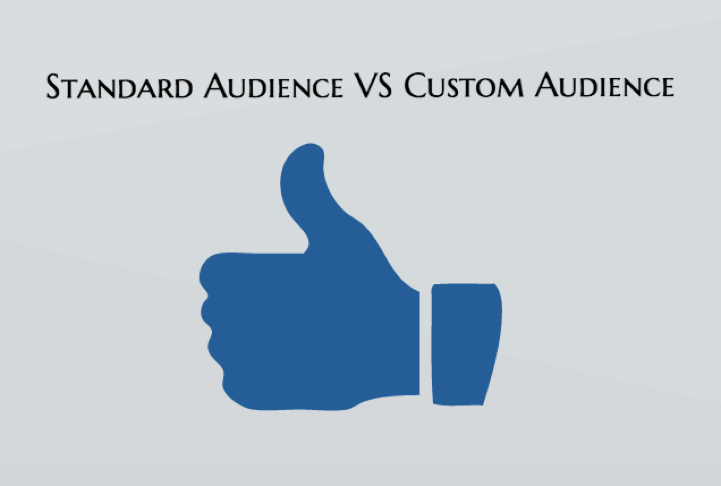 With a specified target of 3,500 people, the Custom Audience clearly delivered higher ad frequency and response compared to the broad target of 22,000 people within the standard audience group. When audience size is further compared to the reach results for each group, it becomes clear that the Custom Audience circulated a more successful reach at 1,597, although the standard audience reach appears higher at 2,515. The audience comparison research for WHQR visibly demonstrates the overall effectiveness of creating a Custom Audience on Facebook. If your business objective is to increase ad frequency, responses, and reach, while simultaneously lowering cost per action, try implementing your own Custom Audience on Facebook to target the audience you desire.